Launched in 1951, Incotex is popular for its flawlessly cut men’s pants, shorts, and more. The label’s sharply tailored trousers in linen, knit, cotton and wool have made them a wardrobe essential. 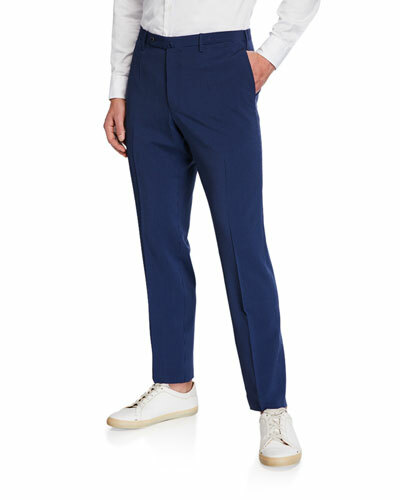 With clever designs, versatile fits, combined with the use of exclusive fabrics, Incotex men’s pants have caught on with today’s fashion-conscious men. 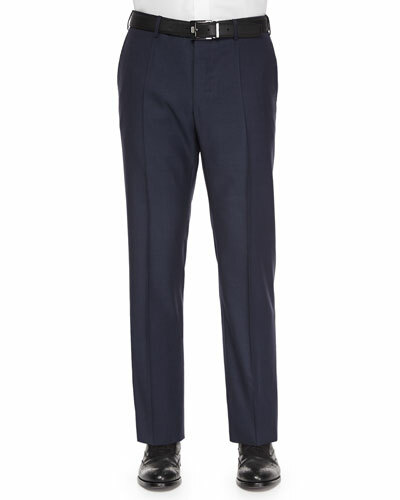 A pair of Incotex trousers feature a range of distinct options including tapered legs for a modern fit, unfinished hems that lets you tailor the length of the leg, and its signature blue belt-holding tab. 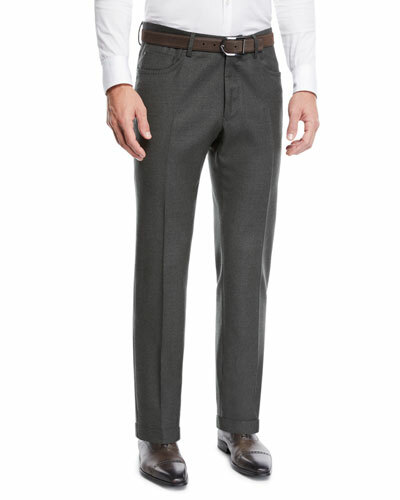 Neiman Marcus offers a great selection of Incotex pants, wool trousers, and more. 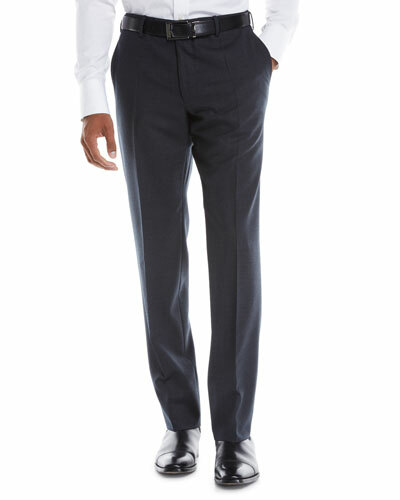 Canali solid dress pants. Quarter top pockets; back button-welt pockets. Flat front. Straight leg tapers to ankle. Unfinished hem to be tailored to desired length. Wool. Made in Italy. Model's measurements: Height, 6'1"/185cm, waist 32"/81cm, suit 40L, shirt 15x34, inseam 32"/81cm.